Many of us face employment problems with potential legal implications at some point in our careers. When faced with such difficulties, an employee may often make some mistakes, resulting in misunderstandings and bitterness toward the employer. This can both lead to a disadvantage for both parties. For employers, tales of badly handled disciplinary action or terminations tend to spread on the grapevine and can discourage quality candidates from seeking positions at a firm. There are ways to go about this. First it should be noted that an employment contract applies to both full-time and fixed-term employees because normally full-time employees tend to have contracts. Even if there is no written contract there will be an implied or deemed contract between an employee and employer and that defines the relationship. Thai law does say that a contract can be oral or in writing. But ideally it needs to be in writing. Basically there are two levels of breach under the Thai labor protection law, one being grave misconduct and the other incompetence or failure to perform duties. Exploring the effects and consequences of a breach of contract means looking at all of the relevant laws and regulations related to the labor law. The main piece of legislation is the Labor Protection Act B.E 2541 (1998) and the binding provision is in the civil and commercial code. Termination procedures for this type of breach depend on the regulations of each company. However, if after the first warning letter is issued the employee continues to repeat the misconduct cited or does not improve, then the employer is generally entitled to terminate the contract within a reasonable period of time from serving the warning letter. The law says that one warning letter is sufficient, though many people believe three letters are needed. However, sometimes it is the rule of the company that three letters are required. But despite the breach, and notwithstanding that a warning letter is issued, severance pay must be paid to the employee after the termination. According to Section 118 of the Labor Protection Act, severance pay is payable even if the employee is terminated following a failure to carry out duties. This applies to lesser types of breaches and not major ones. Exceptions to the rule on severance pay include cases in which an employee is terminated after a definite period working on a special project, for example a fashion show or construction of a house. The project should be a temporary project. If the work is not a specific project and temporary in nature, then the employer may be required to pay severance pay depending on how long the employee has worked. Special severance must be paid if employees are made redundant due to technological advances. The law does not state the amount but it is in addition to the ordinary severance pay under Section 118. Special severance pay is also due if the employer does not give the employee at least 60 days’ notice before termination. From a Western point of view it appears odd that Thai law awards money to employees who fail in their duties. Under UK employment laws there are no grounds to award compensation for an employee’s failure, she said. Also from a Western perspective, the levels of severance pay awarded under Thai law for wrongful termination are very low. The severance pay does not compensate an employee for the consequential losses and damage suffered as a result of wrongful termination with examples being loss of home, loss of family life, loss of partners, loss of self-respect, loss of confidence and loss of health. Where a breach of a confidentiality clause is concerned, it must be proved that the information was truly confidential, not just part of the employee’s knowledge, whether picked up on the job or not. To avoid conflict and labor disputes, the terms of an employment contract should be reviewed on an annual basis to ensure that they accurately reflect the employee’s job and position within the company. Detailed work rules and conditions of employment should be provided to the employees and detailed complaints and disciplinary procedures should be set out in writing and provided to the employee. 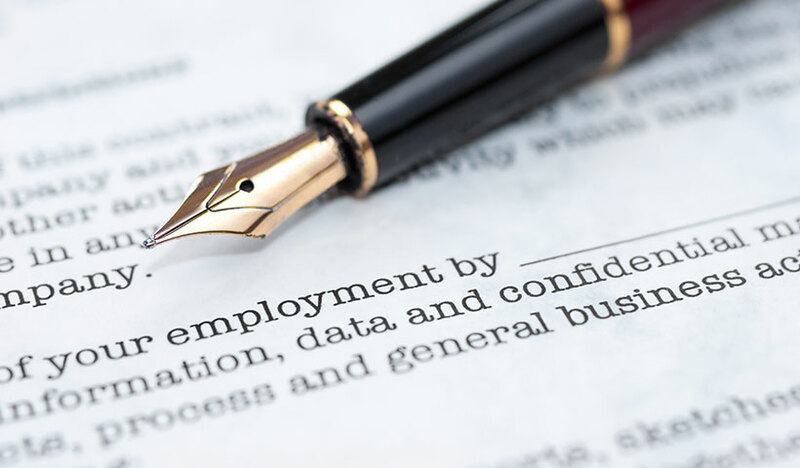 A standard form of employment contract for each level and rank of employee, setting out expectations of that level of employment, should be drafted for the convenience of both parties. Employment contracts with foreign employees should be drafted in clear English in order to avoid disputes. In the case of a constructive dismissal, a term that might not resonate locally as a concept in law, can cover cases such as an “inactive post” as an example. Essentially, constructive dismissal involves cases in which an employee’s work life is made so difficult that he or she starts hating the job, or is perhaps moved to another position that is not really a meaningful job. Employees placed in such situations often feel they have no option but to leave, but this is not a technique that should be used to force an employee to resign. Constructive dismissal is a common-law term, it is not something that is strictly applicable to Thailand. Some companies in the West use this tactic but whereas in the West the term is recognized, in Thailand people do not understand it. In common Thai law, a resignation under compulsion is not a resignation in law. It is unlawful termination.